@pelicantacos Your app looks good - but although iTunes states your app language as being English, it looks like all your screenshots are in Dutch, have you considered doing an English translation? @TechDojo it's translated into 13 different languages. Are you in a Dutch speaking region? As it will automatically translate for you. @TechDojo and thanks, by the way! It was over a year's progress in the making so it's so nice to have it released! Already had an expedited review with an update for a critical bug people found. That was cool to see Apple move very quickly for something like that. @jdarneson1 , to send an app to the app store and then upload via iTunes connect. There are tons of tutorials available online, and with the newer version of xcode its quite simple. To get it onto the app store it require a dev account, which costs $99 USD / year. Added a little app to the store today that's almost too simple to mention: Jscore, which is nothing but a score pad for those who like to play along with Jeopardy! at home. @TechDojo I will look into it. That's strange--I have it translated in several different languages. I must have just set up the UK version wrongly. Thanks! Are this all apps made with Codea or fights in here? 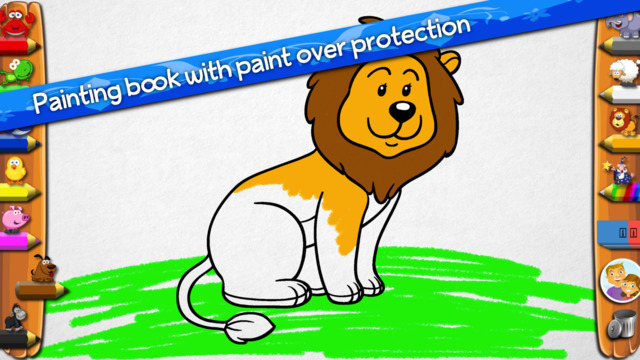 'Simple Painting And Coloring Fun For Kids' is a simplified painting App for really young kids and made with Codea. Hello guys, follower of this great forum for a couple of years - thanks to all the posters for great information/help. 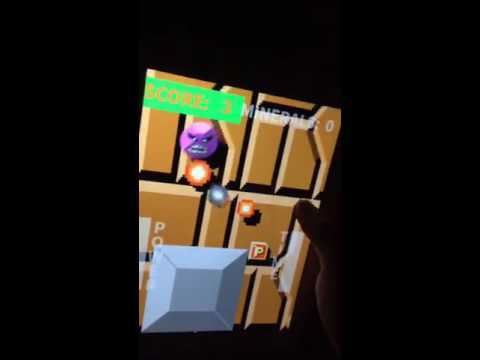 My new game released today created using Codea called KonkaQon - shoot 'em up game using tilt control/accelorometer of device (IPad/IPhone) - control and crash your KonkaBall around, shooting evil KonkaDroids whilst trying to collect minerals, beat the clock & return to base for the next level. Tap right side of screen to shoot & tap left to jump! Thank you. Hello @zapaper, I am going to dowload your app right now! May you please help me a little bit with 2D scrolling bacics? Thanks! 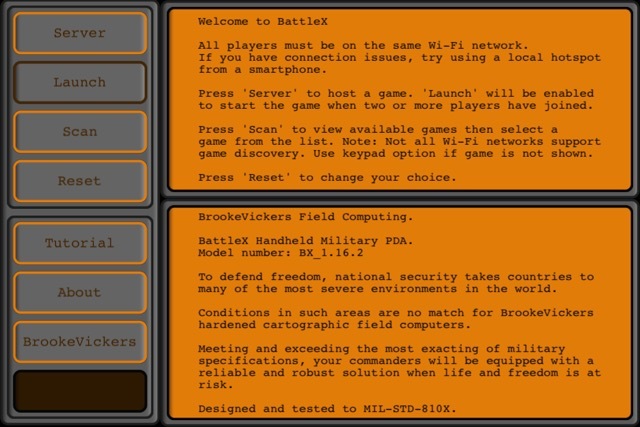 BattleX is a local multiplayer real-time strategy game for 2-4 players played over Wi-Fi. Simple to learn but hard to master… this is the game that teaches you the need for both tactical and strategic decision making, with simple graphics that allow the real-time nature of the game to shine through. Create troop supply lines, build bases, dig and fill in the landscape to facilitate strategic advantage and surround your enemy in preparation for attack. 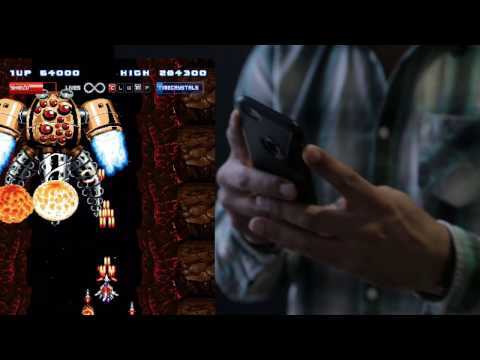 Featuring a clean user interface and an interactive tutorial, BattleX is the classic strategy game supporting iPhone, iPod Touch and iPad with iOS8+. BattleX is now available for £0.79 in the UK and is priced accordingly in other regions. Please visit http://www.brookevickers.com for more information including game guide and multimedia. This app is developed by BrookeVickers, an iOS game development partnership founded in 2013. Simply swipe to deliver pizzas to the pink houses, watch out for the burglars & other cute villains! Keep your cash up and see how many pizzas you can deliver! Hello everyone! I woke up today to a good morning! I checked my phone first thing and I saw that Apple had put my app on the App Store! Hope you all enjoy the app. I put it for free, and thank you to everyone here who in some way helped create it! Good morning everybody! I got a notification at 1:16 AM that my app was put on the App Store! This one took me about 6 months, and I could not have done it without the amazing Codea Community. Extra Special shout out to @spacemonkey and @dave1707 ! This is currently version 1.0 with 1.1 tweaking coming out very soon with some additional tiny things tweaked plus adding in the credits to thank all the awesome people who have tested, advised on coding and supported the game. I've been luck to have found Codea four years ago and it helped me realise a life's ambition, to make games. With the release of this new one it's enabled me to make a dream come true: to make an arcade quality game that's highly playable. With great people like @Simeon @West @Ignatz @dave1707 and others I need to acknowledge, you lot have truly helped me get over a coding barrier to make something I am really proud of. I hope you enjoy and I thank you all!!!! 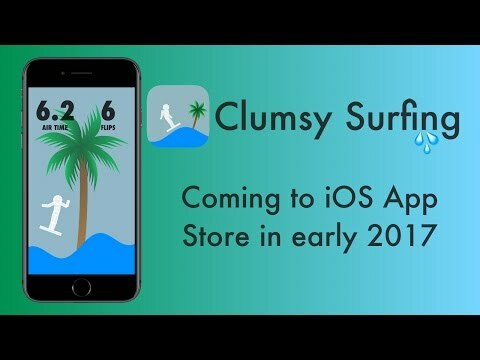 My latest game, 'Clumsy Surfing,' just released on the AppStore ! It is available for free. My new game made 100% with Codea on my iPad! Message me if you're interested in the source! Pictures and videos on my website and the App Store. At the left top i saw "Server", you can multiplayer connect? I thank you guys for developing Codea! 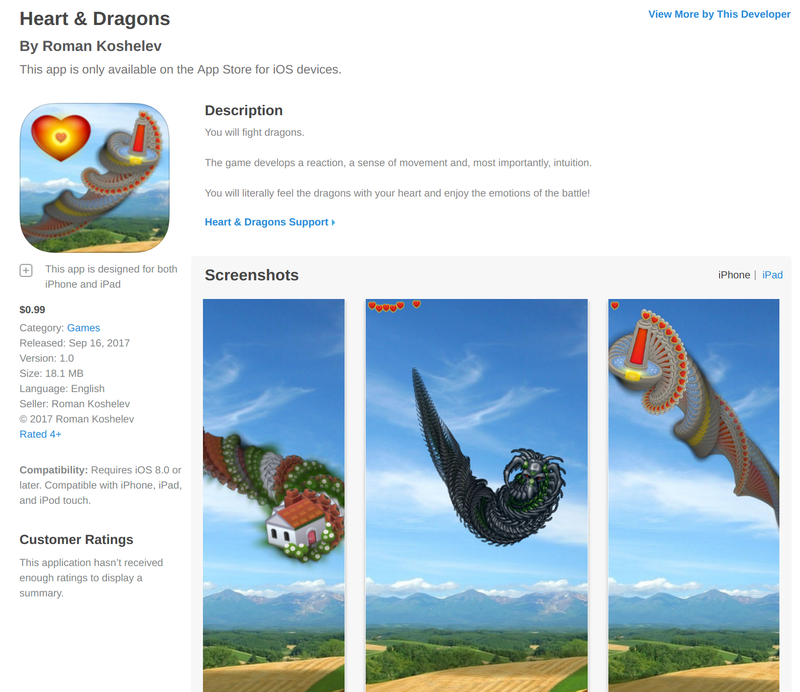 Here is my first App, "Heart & Dragons"
@yojimbo2000 Can't believe I hadn't seen Banjax until just now. Awesome! @BrainchildX Am I missing something? I can only see this in German. The screenshot you posted is in English, though... is there an English version? 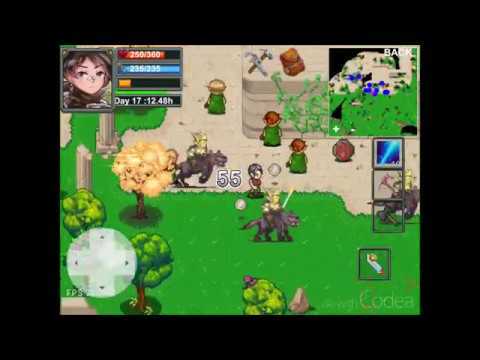 Make your Action RPG on your Mobile. You can play a matching game with your selfies. 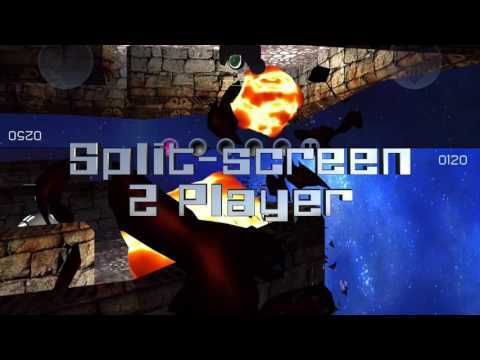 New version of Starsceptre is out. It’s fully touch with the whole ship being able to move around the whole screen now. No more tilt and no more on screen joystick. Brand new power ups too !! It's called Laser Defense Basic. 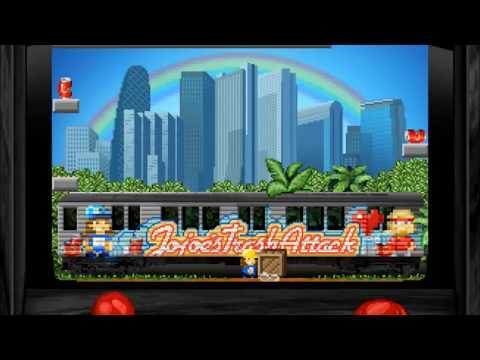 Our first app "Jojoe's Trash Attack" is a pixelart platformer about recycling, made in Codea. All sprites and music done on the iPad. Backgrounds mostly done in PS. 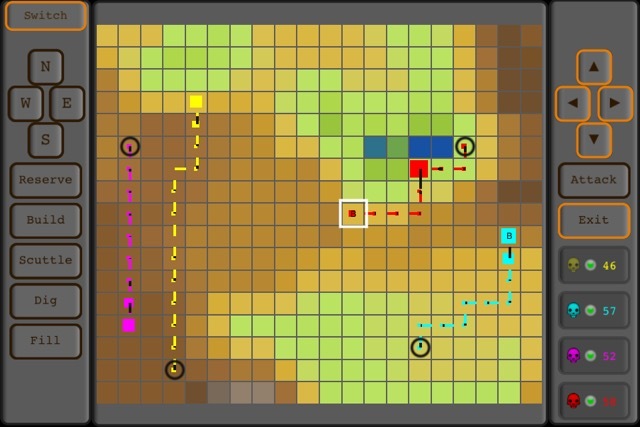 We are selling it for 2,39 $, it is free of advertising and inapp-purchases and contains ca 70 levels and a level editor. There's also a demonstration of the editor on our facebook-page. Knot a Problem for designing Celtic Knots. Hey everybody! My newest app just got released on the app store this morning, it's called Propel! It is available for free for all devices. I hope you think it's fun! Also, if you like it please leave a good review, that would be so helpful. Thanks! @CamelCoder Nice! Just played it now. There is a noticeable learning curve but I enjoyed it. The ad length could be a bit frustrating for a new players. @Emilia thank you so much! I intend on coming out with an update soon that adds a lot of new features and lessens the amount of ads. I’m glad you liked it tho, took me about a month to put it all together.